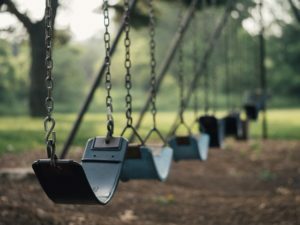 In a decision of interest to municipalities, conservation groups, and land use experts, the Massachusetts Supreme Judicial Court (SJC) recently decided that a public playground in the City of Westfield is parkland protected by Article 97 of the Amendments of the Massachusetts Constitution. Art. 97 provides, in part, that property “taken or acquired” for conservation purposes “shall not be used for other purposes” without approval by a two-thirds vote of each branch of the state legislature. In Smith v. City of Westfield, the SJC expanded the reach of Art. 97 by concluding that municipal parkland may be protected even without a recorded restriction, provided the land has been dedicated as a public park. The case concerned the Cross Street Playground in Westfield, a 5.3 acre parcel that is home to two baseball fields and a playground. It has been a public playground for more than 60 years. In 1979, Westfield received a grant from the federal government under the Land and Water Conservation Fund Act (LWCF), which mandated that “[n]o property acquired or developed with assistance under this section shall … be converted to other than public outdoor recreation uses” without the approval of the U.S. Secretary of the Interior. The 2006 Massachusetts “statewide outdoor recreation plan,” developed pursuant to the LWCF, stated explicitly that “[l]and acquired or developed with [LWCF] funds become[s] protected under [Art. 97] … and cannot be converted from intended use without permission” from the National Park Service and the Massachusetts Executive Office of Energy and Environmental Affairs. In 2011, Westfield proposed to build an elementary school on the parcel. A group of residents objected and obtained a preliminary injunction suspending the project until the case was resolved. The sole issue was whether the land was protected by Art. 97. Often there is a deed, conservation easement, or other written instrument that reflects the “taking” or “acquisition” of land protected by Art. 97. The SJC acknowledged, however, that it has previously recognized that land may be protected under Art. 97 even if not officially taken or acquired, as long as it was “designated” for an Art. 97 purpose. In essence, the test requires an examination of how and why the land came to be used as “park” land. The clear and unequivocal intent to dedicate public land as a public park must be more than simply an intent to use public land as a park temporarily or until a better use has emerged or ripened … [r]ather, the intent must be to use the land permanently as a public park. The effect of the SJC’s decision on other communities remains to be seen because Art. 97 only applies when a change in use is proposed. Nonetheless, the decision is likely viewed as a victory by land conservation groups and others seeking to protect public parkland. If municipalities want to keep their options open for non-parkland future uses, they should be cautious in accepting financial assistance for parkland improvements if the monies come with strings attached.